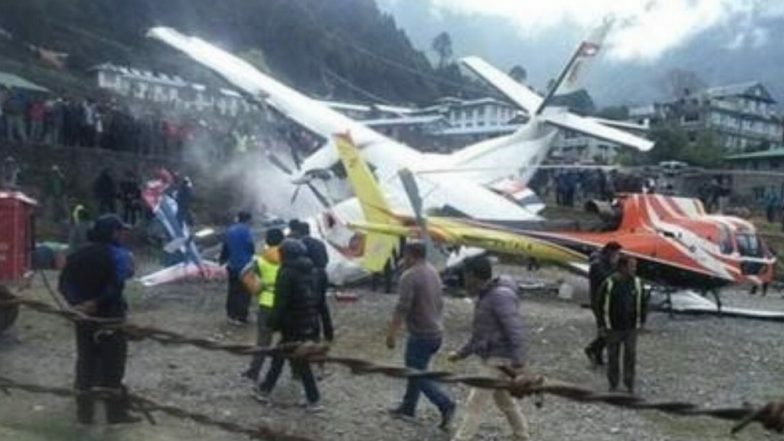 Kathmandu, April 14: At least two people were killed and five others were injured in Summit Air flight crash at the Tenzing–Hillary Airport in Nepal’s Lukla. The aircraft had collided with a parked chopper at the airport. According to reports, one police official was among those killed. However, the identity of the people killed in the crash is still unknown. The injured have been airlifted to Kathmandu for treatment. An eyewitness told Himalayan Times that the accident occurred when the plane was preparing for take-off. More details are still awaited. Boeing 737 MAX Aircraft: All About The Ethiopian Airline Airplane That Crashed And Why These Planes Are Being Grounded. Last year, Jet Airways flight travelling from Riyadh to Mumbai skidded off the runway during the take-off. The flight 9W 523 had a total of 149 people on board, including 142 guests and seven crew members. The B737-800 aircraft was safely evacuated, and there were no reports of injuries.